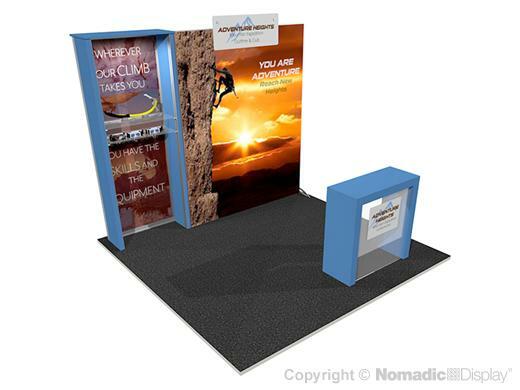 You want a trade show display that can tackle your latest market challenges and expand your exhibiting footprint with out denting your wallet. Our 10’ DesignLine hybrid display is engineered to do just that. Our hybrid displays accommodate the most popular accessories such as: bold display graphics with dimensional signage and shelving.